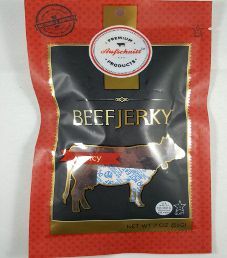 The next review on Aufschnitt Meats will focus on a 2 ounce/56 gram bag of their spicy flavored 100% grass-fed beef jerky. This spicy flavor is advertised for those who savor a great snack with a good punch. The bag was graciously submitted by the Aufschnitt Meats team. 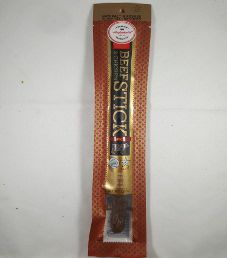 The next review on Aufschnitt Meats will focus on a 1.5 ounce/42 gram cracked black pepper flavored 100% grass-fed beef chicken meat stick. This flavor is described as having a perfect peppery kick. The bag was graciously submitted by the Aufschnitt Meats team. 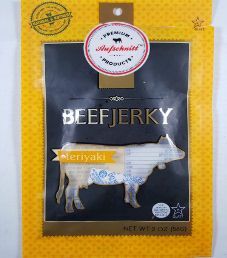 The next review on Aufschnitt Meats will be on a 2 ounce/56 gram bag of their Teriyaki flavored 100% grass-fed beef jerky. This flavor is described as having a beautifully balanced marinade of pineapple juice & soy sauce, sure to satisfy the Teriyaki lovers. The bag was kindly submitted by the Aufschnitt Meats team. 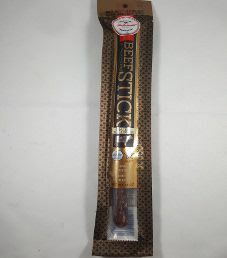 The next review on Aufschnitt Meats will focus on a 1.5 ounce/42 gram spicy flavored beef chicken meat stick. 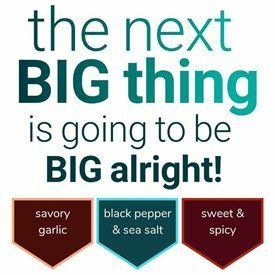 This flavor is described as delicately cured slices of beef seasoned with the perfect combination of salt & pepper to create the ultimate jerky snack. The bag was kindly submitted by the Aufschnitt Meats team. 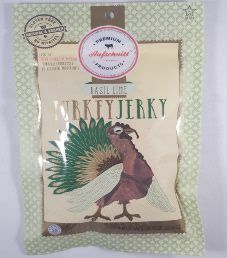 The next review on Aufschnitt Meats will focus on a 2 ounce/56 gram bag of their Basil Lime flavored turkey jerky. This flavor is described as being infused with tangy lime topped with a rich basil flavor for a beautifully clean jerky snack. The bag was graciously submitted by the Aufschnitt Meats team.